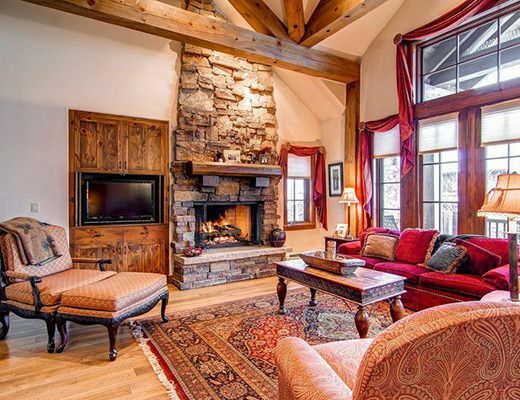 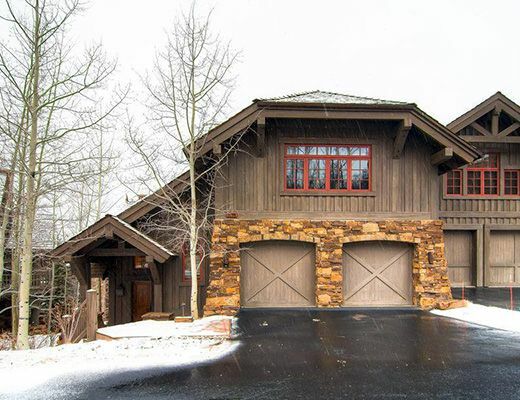 This beautiful ski-in, ski-in property in Bachelor Gulch features an open floor plan that includes 5 bedrooms and 5.5 baths. 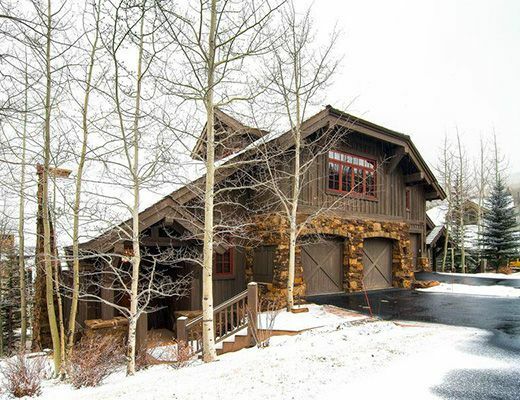 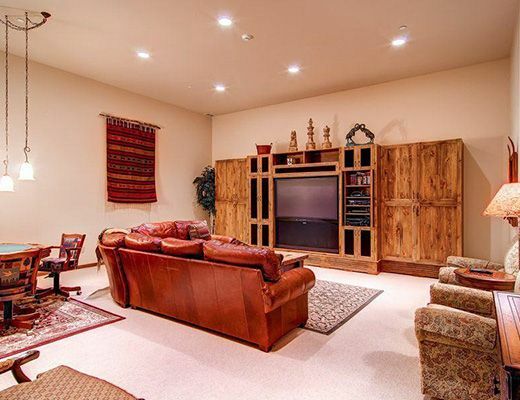 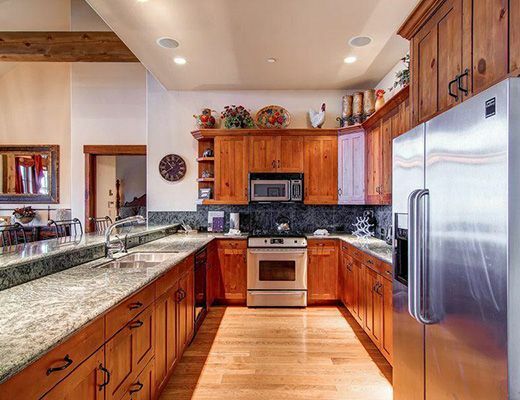 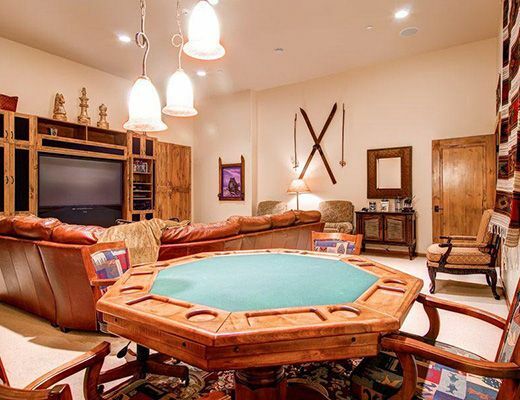 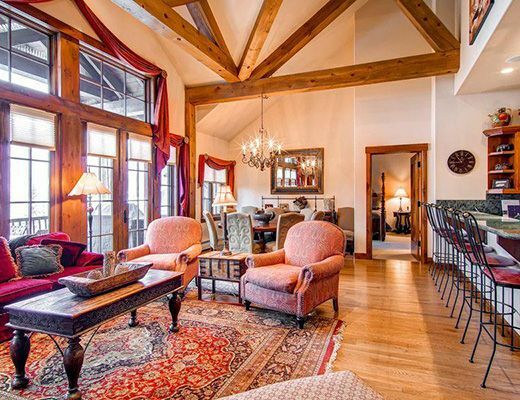 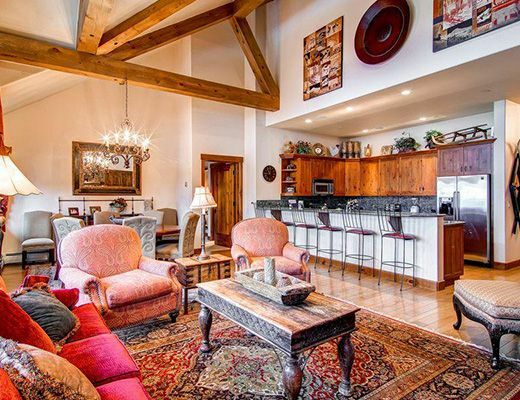 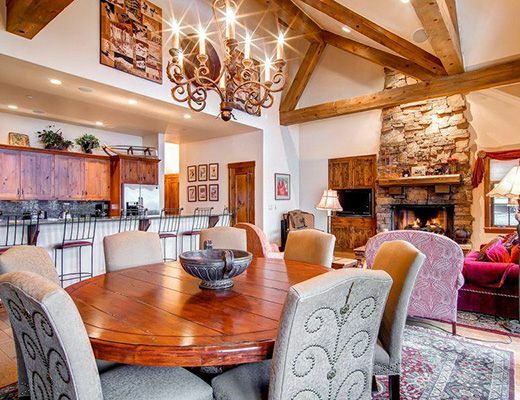 Large windows and vaulted ceilings provide incredible views of the Bachelor Gulch ski area and the Avon valley. 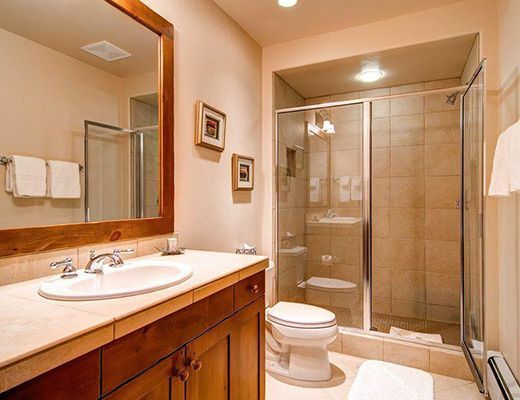 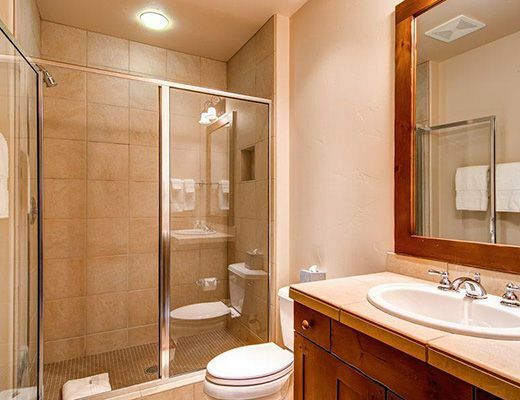 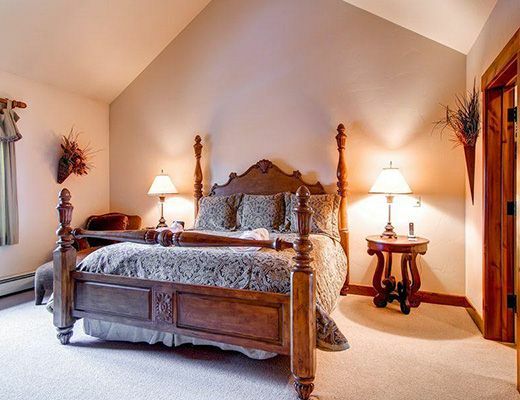 The king master bedroom on the main level features a large TV and a spacious bathroom with separate shower and jetted soaking tub. 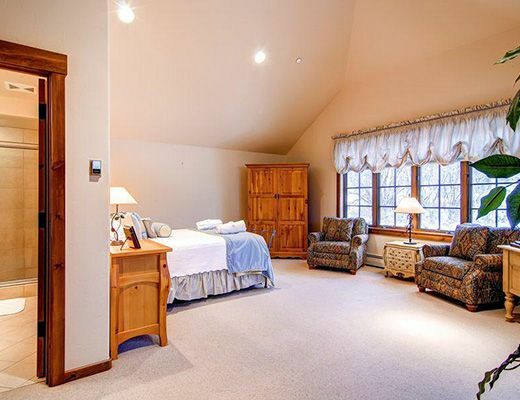 A secondary master upstairs also has a king-sized bed, TV and en suite bathroom. 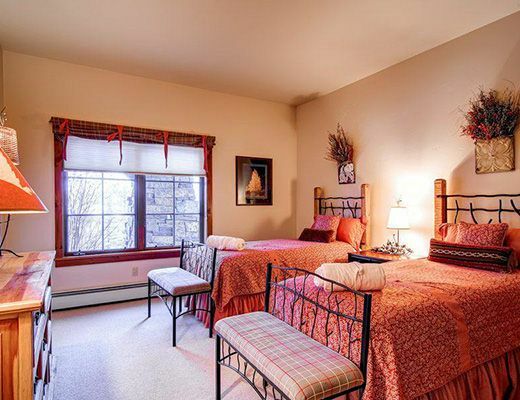 Downstairs from the main level, two twin beds are in the third bedroom; this room also has its own bathroom. 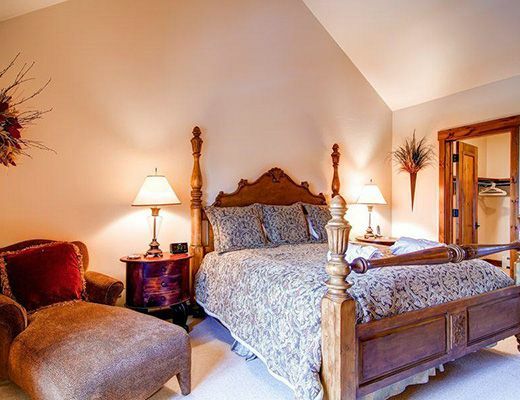 The fourth bedroom has a king-sized bed, TV and an adjoining bath. 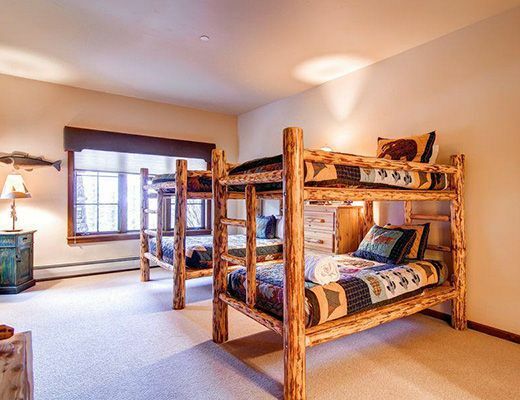 The kids' room is furnished with two twin bunks and has its own bathroom. 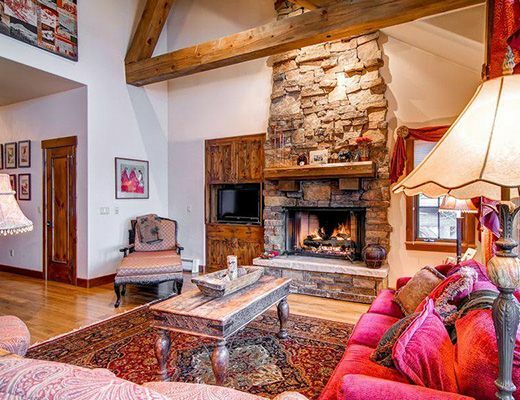 Up to twelve guests can stay comfortably in this luxurious, spacious property, which boasts approximately 3,800 square feet of living space. 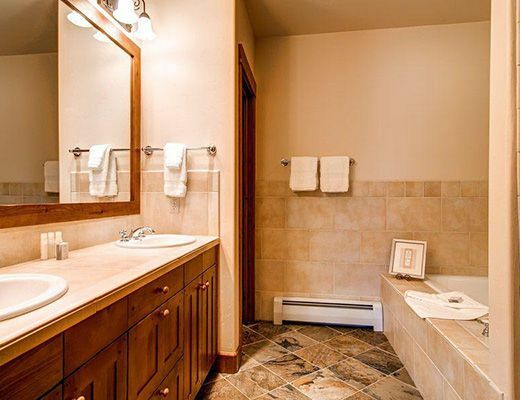 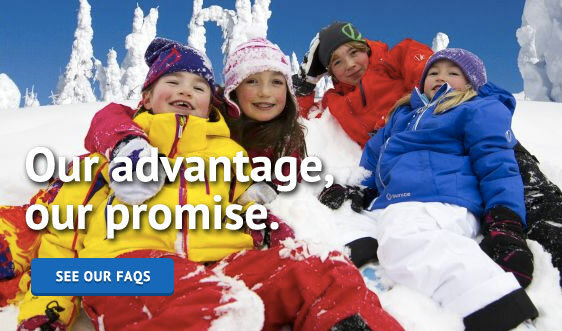 You'll appreciate the additional luxury of an oversized laundry room, ski storage, a gas grill and patio furniture on the deck, and a two car garage with room in the driveway for two additional cars. 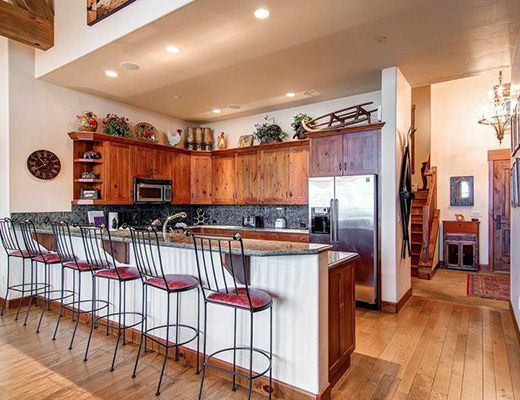 Ski access is about a 30 yard/meter walk to the skiway, where you can head down hill to the base of the Bachelor Gulch Express Lift in a matter of minutes.